Check out our special UberEats menu of boxed Greek meals that travel well! At Nick's Place we take a lot of pride in preparing our meats in store using fresh not frozen products, unlike other kebab stores common practice today of buying in from 3rd party supplier ready made inferior meats delivered frozen. You will see from the above videos the ingredients used are typically Mediterranean. 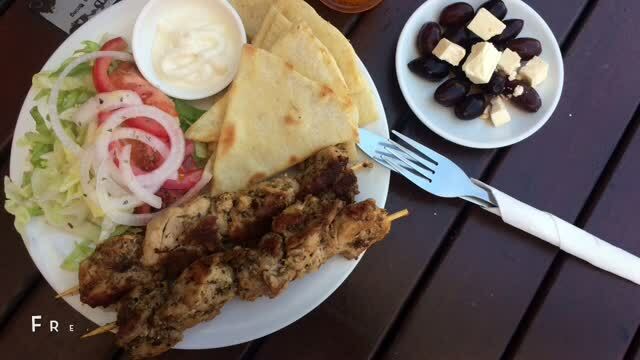 You will notice unlike the typical Mid East kebab's using mostly dry spices the Greek Souvlaki uses fresher liquid ingredient's such as lemon juice, white wine, olive oil, garlic & herbs with just a little dry spices.